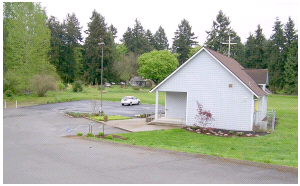 Ascension began in the early 90’s as an outreach effort of Redemption of Lynnwood. In 1992 they organized and called a full-time servant. In 1995 Ascension called Pastor Paul Naumann, who continues to serve the group. By the grace of God and with the assistance of the members of the CLC, in 1998 Ascension purchased 5 acres of property along Waller Road, a main north-south arterial. There was a large house already on the property to serve as a parsonage. In 2003 a 1400′ sq. 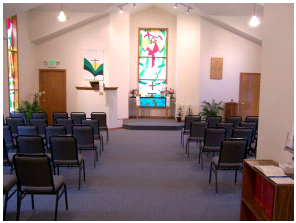 chapel was built and dedicated to the spread of Christ’s Gospel. Ascension has had slow but steady growth over the years. In 2006, eager to expand its outreach and unable to find resources, Ascension developed its own. “The Tacoma Outreach Menu” is a collection of 120-plus ideas for congregational outreach, and is now in use among many of our CLC congregations. Over the years Ascension has tried a myriad of outreach methods, from canvassing, direct mail and media to online sermons, banner ads and internet radio. One constant is the ongoing effort to train members in personal evangelism – e.g., the current ‘Friends Who Need Jesus” program encourages them to suggest prospects from among their acquaintances who might be particularly open to approach with the Gospel at this time.